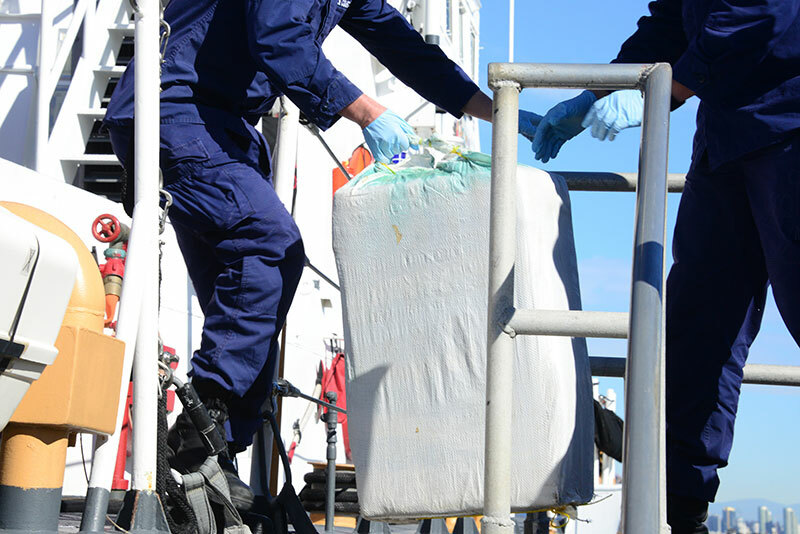 SAN DIEGO (LOG NEWS SERVICE) — The U.S. Coast Guard reported that its crews shot out the engines of a small Mexican boat before seizing approximately 7,100 pounds of marijuana and apprehending three suspected smugglers. The Coast Guard said the incident happened in international waters about 155 miles southwest of San Diego on Dec. 10. Coast Guard authorities flying overhead detected the 30-foot panga and alerted crews aboard two nearby cutters and a 45-foot response boat crew from Station San Diego. When Coast Guard vessels converged on the area, a brief pursuit ensued, in which the smugglers refused to stop. An aircrew from a helicopter fired warning shots, followed by gunfire from a sharpshooter that disabled the engines, to render the panga inoperable. A total of 74 bales of marijuana, three suspects and the panga were taken to San Diego and turned over to the San Diego Marine Task Force. The incident was the second major interdiction in the area in December, resulting in the seizure of more than 13,100 pounds of marijuana. The first incident occurred Dec. 2 when after a brief chase — which also ended after a Coast Guard crew used gunfire to disable the fleeing vessel’s engines. Two suspected smugglers and a panga loaded with 201 bales of marijuana were seized approximately 140 miles southwest of San Diego.